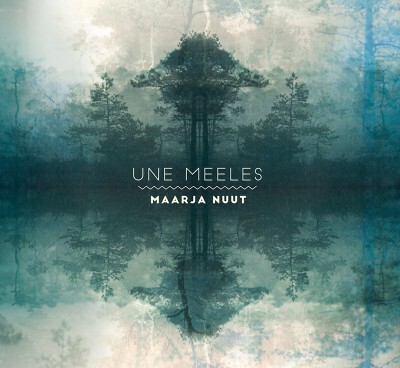 Maarja Nuut is an Estonian violinist who weaves her lilting voice around traditional folk compositions and contemporary electro-acoustic minimalism using a skeletal framework: voice, bow, looping pedal, click track. What fills in UNE MEELES (In the Hold of a Dream) is a distinct sense of wonder and technical mastery, lighting it from within like a faintly flickering candle in a window. Throughout the 12-track album, Nuut’s violin is plucked like a ukulele, strummed, frantically bowed in additive passages of incoming-storm intensity and looped to create a hypnotic pastiche of lines that move with gathering rhythm. Nuut is a great innovator and archivist on UNE MEELES. Several tracks display an ethnomusicologist’s keen preservation of traditional Estonian folk melodies. Tracks such as “Eeva & Maarja labajalg” serve to not only display the traditional melodies of Nuut’s native Estonia but to also place Nuut in a long line of accomplished musicians able to keep pace with intricate bowing and swirling melodies while simultaneously looping passages to create an overwhelming chorus of dense, pointillist sound. On “Jaa-ti-daa,” Nuut throws her voice to create a multi-layered lullaby of circling melodies of monosyllabic lyrics over the delicate plucking of her violin. These melodies and traditional tunes feel lived in, as Nuut is a denizen, and not an interloper, of these tones and timbres. As an innovator, Nuut is able create wonderfully astute avant-pop creations that recall Final Fantasy, Kishi Bashi and Joanna Newsom. The delirious call-and-response of “Hobusemäng” is composed of multi-layered violin, looped vocals and rhythm, supplied by a distinct kind of mouthsound that recall the everything-is-music aesthetic of Czech weirdo-geniuses DVA. The song breaks into a cathartic peak, where each of these elements begin firing on all cylinders—an impressively stitched-together cyclone of voice, violin and bodily rhythm that threatens to—but never does—fly apart in a splintering tornado of notes and body parts. “Sammud” follows a similar pattern, constructing a shuffling-rhythm pattern through the field recording of shuffling feet. This usage of found sound recording elements, which seem novel today, has its roots in traditional folk music, which constructs multi-rhythmic narratives that are comprised of what was available at the time. “Kellatoas” is a tiny world unto itself. The track is a strummed, plucked instrumental number focused around a singular musical passage while impossibly high-pitched drones swoop in and out. This recalls Amiina’s gloriously pastoral ambient-folk and (listening while mourning the passing of Tony Conrad) resides moments under the sway of Conrad’s otherworldly droning. As “Kellatoas” segues into “kiik tahab kindaid,” Conrad’s presence is channeled, even if unknowingly so, and drawn in through the looped dissonant passages: a rare moment of lament, a suitable dirge for the loss of a giant in the musical community.